Heat oil in a kadai/sauce pan, when its heated add mustard seeds allow to splutter then add chana dal and urad dal and fry till golden brown. After that add onions, curry leaves, green chilli, carrot & ginger and saute for 1-2 minutes. Then add water and enough salt, stir well and bring it to boil. Once it starts boiling add cracked wheat, combine well and close it with a lid. It takes about 8-10 minutes to cook. At the end of 10 minutes, open the lid add cilantro and mix well. That's it...healthy & tasty cracked wheat upma ready. This is little bigger than godhumai rava, so it takes little more time to cook and also need 3 cups water, if using pressure cooker use less than 3 cups of water. Cup measurement - u can use any cup, tumbler, bowl..only thing use the same cup to measure ur cracked wheat n water. 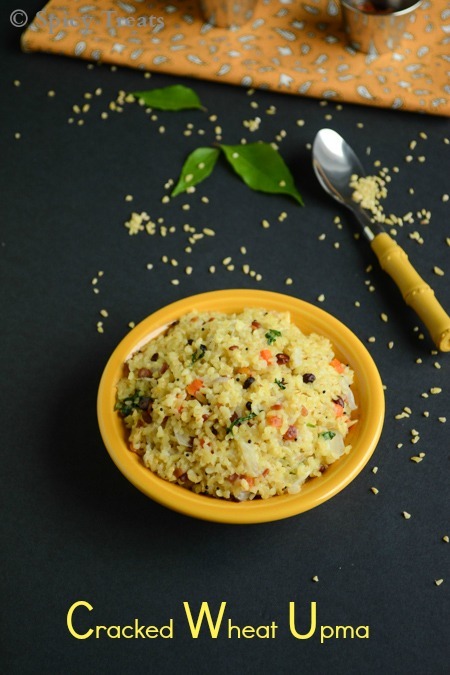 To make this upma even more healthy n tasty u can add 1/2 cup of mixed vegetables n cook. If u want u can roast cracked wheat in 1/2 tsp oil. 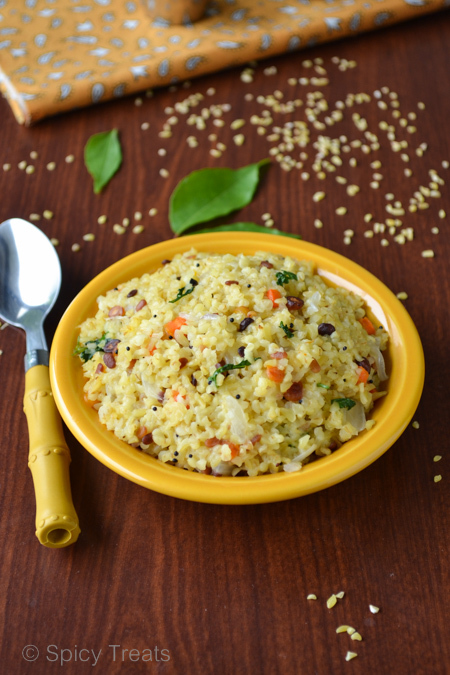 To make it easier u can cook this upma in pressure cooker also. Sending this recipe to Priya's Healthy Diet ~ Diabetic Friendly Recipes Event. i was always apprehensive about having this but its quite tasty actually :).. looks soo good sangee.. wish i could ome home right away fro breakfast! well made,i too made it and yet have to post. i always buy a finer version.. this one looks jus like rice grains n nice prep..
Omg, my favourite upma,Sangee wat a health and apt dish for diabetic peoples na, thanks for sending to HD..
yumm n healthy breakfast !! 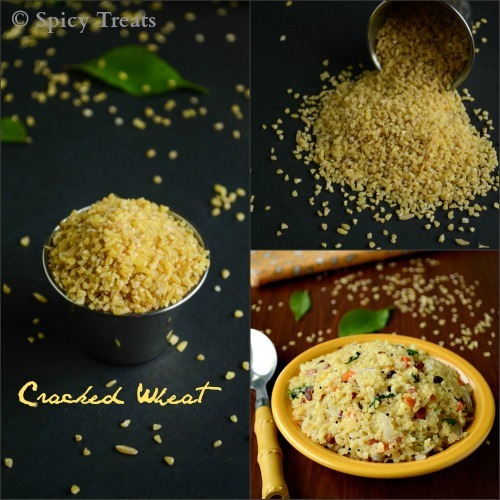 I often prepare broken wheat khicdi but never tried this one. Very perfectly done, I like this better than the one done with the regular sooji..
loved your clicks and clear explanation..
Wow sangeetha nice and comforting breakfast and dinner too. Awesome step wise pics :) A healthy & filling upma !! Today my friend got me a packet of small lapsi from Mumbai, I made this receipe today, tasty and healthy, filling food. Thank you for all your lovely diabetic receipe.